This makes the list as being one of my favorite cocktail apps as it's so well rounded — it's what most of these apps have only all stirred into one mega app. You can take a stroll through the index, search for a specific cocktail, and my particular favorite is the option to go through the ingredients you have in your cabinet and find a suitable drink to mix. If you feel like shaking things up by finding something similar, but not the same as your usual, then you can opt for the category section which gives you some great alternatives. You can mark your top drinks with ease in the favorites section to make them easy to find again, although by the end of the evening you'll probably be in an "anything goes" frame of mind, and will opt for the "random" section — only if you dare! In fact the random option is easily activated, rather appropriately, by shaking your iPhone. The only downside for me is that you can't search by ingredient — rather you have to scroll through a wheel which can be a bit too time consuming when you need that well deserved drink. There is a free version of this app, but honestly for 99 cents you might as well go straight for this option as it's so much more refined and slick, as well as getting rid of those adverts which might be too tempting to tap on after a good few cocktails! This is a really well-designed app with a truly sophisticated London bar feel. It's been designed with professional bar folk in mind, but it's highly usable for anyone in the mood for mixing. The idea is that, as well as some great standard cocktails, you can easily add your own combinations, even down to the detail of taking a picture of it to include. Make your own categories to add your recipes too, or use the ones provided. You even have the option of sharing recipes via email or on Facebook if you really want to. The developers behind this app are bartenders so include some of their own mixes too. If you have a go at making any of the recipes included in the app, but alter them according to your tastes, then that's easy to do in the app too. 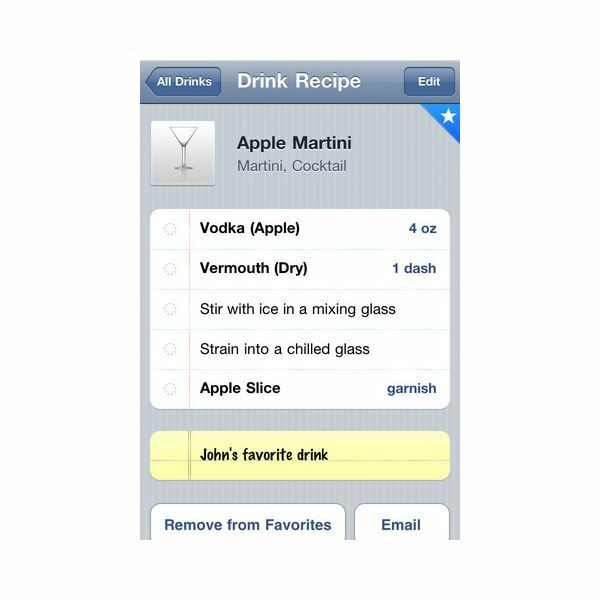 It's not an app for a casual mixer as there's no option for searching by ingredients, but it is a great app for those who take their cocktails seriously. 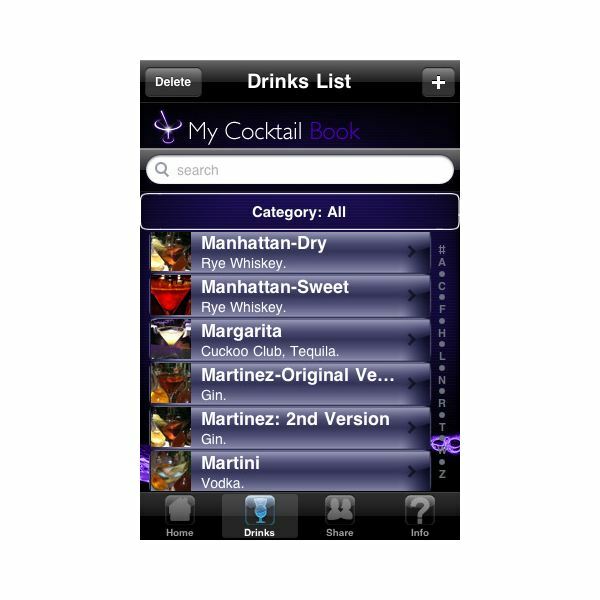 In total contrast to MyCocktailBook above, this app is absolutely perfect for novice mixers. In fact even if you aren't good at following recipes iVideo Cocktails comes to your aid with very clear videos that show, rather than tell, you what to do. You have all your classic cocktails here like Martinis and Margaritas, but also some great ones you might not have heard of such as Caribbean Doodoo. The way you can search is great too, as you can just look at categories like "without alcohol" or "with gin" which works really well. 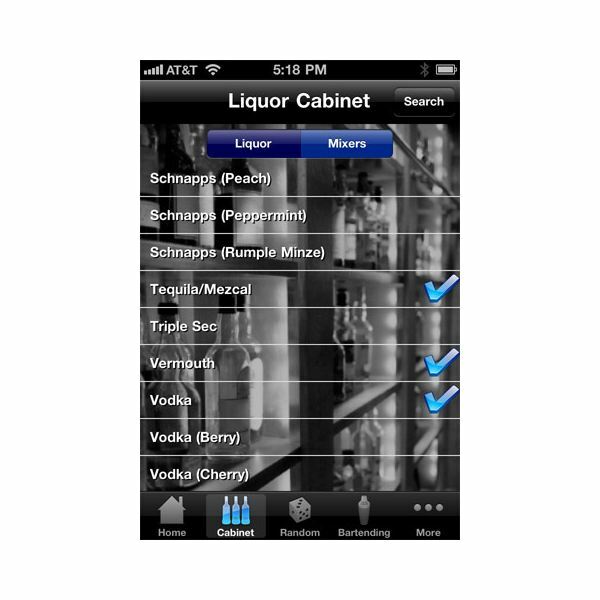 Some other great features allow you to search for something random by shaking the virtual glass, store your favorite cocktails together, and even get some top tips from barmen in the know — a particularly nice touch. It's a really nice looking app that is easy to use, but I should point out that it costs $3.99 which is a fair bit more than most of the apps we're looking at here. 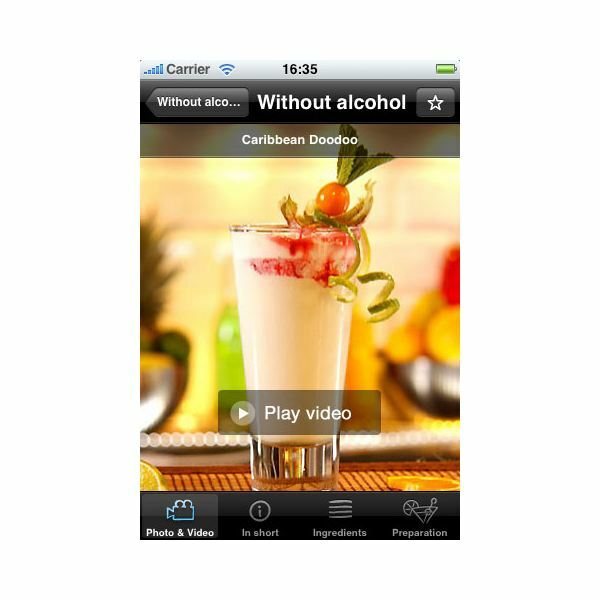 If you're looking for a beautiful iPhone drinks app to get the party started though, then this is a top option. 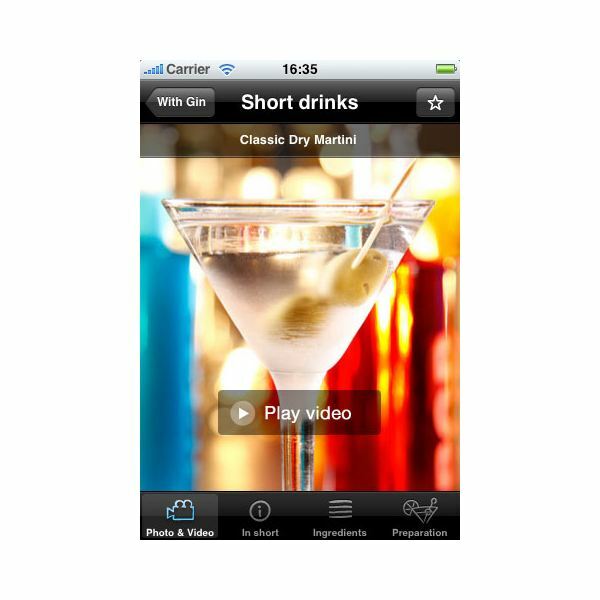 Mixologist is probably the most well-rounded of all the mixology apps in our list. You get all the usual recipes, search by ingredients, random selection and so on, but also bartender tips and terminology, and a bar/liquor store locator which is particularly handy if you're out of town. 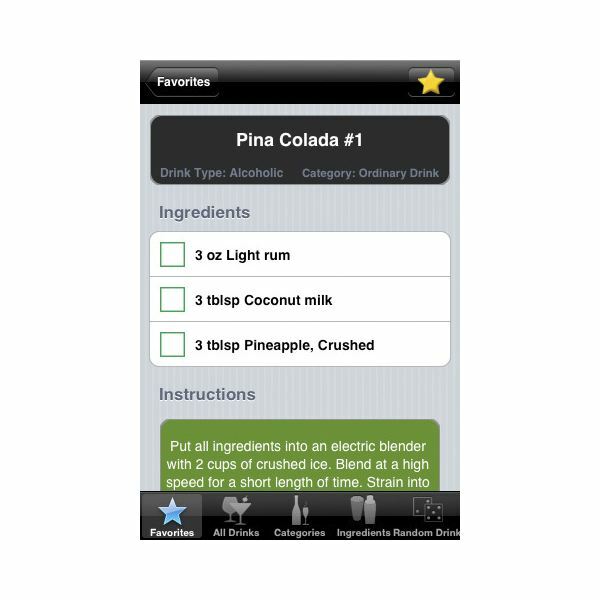 My favorite feature is the "Browse all" category, which usually is just a huge meaningless list, but in this app you get the title of the cocktail with the main ingredients underneath, so you know before you tap whether this drink is for you or not. It even has a glass icon to the left of each entry so you know what kind of cocktail it is — long glass, tumbler, shot, champagne flute etc. Unbelievably for just 99 cents you get access to thousands of recipes, which is enough to keep you going through many parties to come. I also like the units option to look at either imperial or metric measurements so it really should keep everyone happy. The only small issue with this app is that if you search on ingredients for something you have in your cabinet like "brandy", you'll also get results for cherry brandy and apricot brandy as well, which started to get annoying. Overall though, it's a minor issue and the results will still offer you loads of options for whatever bottles you do have to hand. This app is brilliant at pretty much everything you'd expect, but has some really neat features that distinguish it from the rest as well. Yes it has an awesome array of cocktail recipes, categories, favorites, liquor cabinet and randomize, but it also makes it all easy to use with some added extras too. 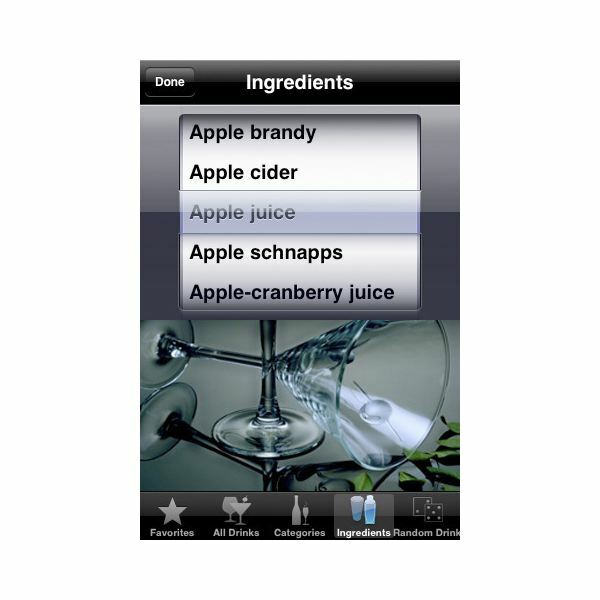 Find a recipe in the app and alter it to suit you by taking away or adding ingredients with a tap, or even take out some of the processes with ease. Once you've done this you can easily call it "My…" and both recipes will be in the database — it's just made so easy. 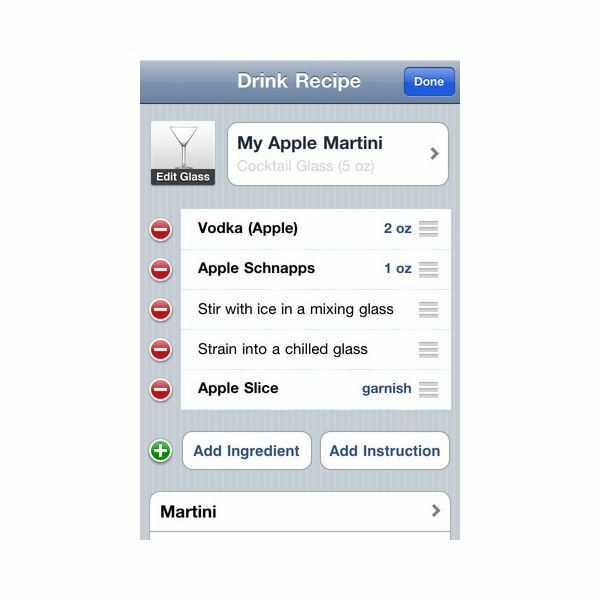 Add notes to help you in the future, and even give your cocktails names like "so and so's favorite" — just in case you have such a good time you can't remember for the next party! I also like some of the interesting shooters it recommends, for when you want a nice mix but can't face a huge glass of the mixed stuff. 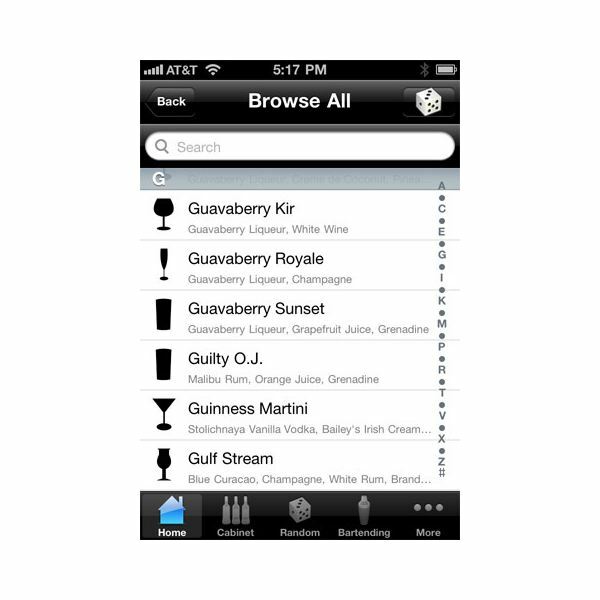 The best part of the Top Shelf Drinks app is that the search feature is much better than on any other cocktail app on iPhone — not only can you search by name, but also by ingredients, and then drill it down to more specific options to suit you. It's very intuitive and probably the easiest app to use, as well as having all the features you could possibly need. If you have a particular favorite cocktail app to make the party go with a swing, then please let us know about it.